Popular large scale model designed by Don Smith. VOUGHT F4U CORSAIR Scale 1/4, Wingspan 120in.Length 91in Wing Area 2706 sq.in. 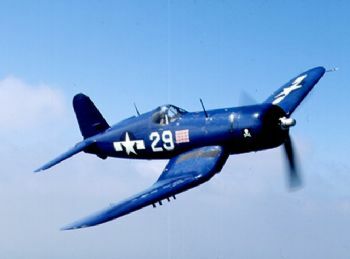 NB Plans are enlarged from the Don Smith 100" F4U and do use some non-standard wood sizes. Plans not included in Parts Set, select from below. Massive parts set includes fuselage components, bulkheads, formers, wing ribs, Corsair unique wing dihedral braces, tail and fin ribs, tip shapes for wing, fin and tail plus many smaller parts. Plan, cowl and canopy available from Belair.